Jim Corbett National Park is situated in the Nainital district of Uttarakhand, which is a part of the Corbett Tiger Reserve. The park is placed in the foothills of the Himalayas cover with lush greenery and uneven mountains that ranges about 1300 feet to nearly 4000 feet. Jim Corbett National Park is the oldest National Park and is established in 1936 with the name Hailey National Park and afterward renamed as Ramganga National Park in the year 1952. 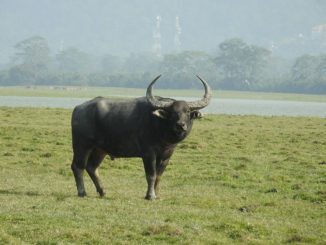 Whereas, it was again renamed in 1957 as Corbett National Park. 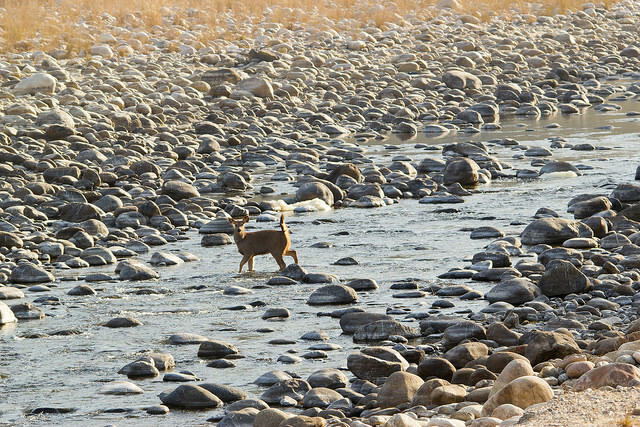 Jim Corbett is spread over an extent of 520 sq. km. which comprises of hills, riverine belts, grasslands, marshy depressions, and the large lake. 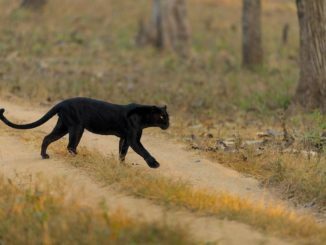 This Park is among the few tiger reserves in India that allows you to stay overnight in the lap of the National Park. 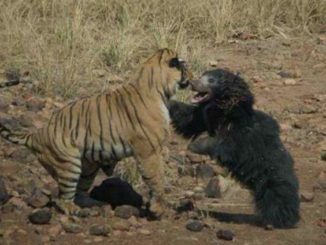 Tourists can do nature watch and the wildlife visit in an open four wheeler Jeep and on elephant back. 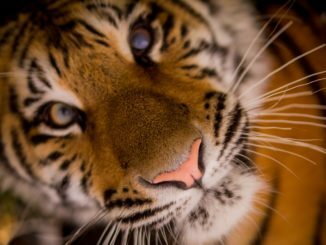 It is a house for a healthy population of tigers and rare species like Otter and the endemic fish-eating crocodile. The most popular destination in the National Park is Dhikala, which is situated at the border of the extensive Patli Dun Valley. It is famous for its superb location and complete abundance presence of wildlife. 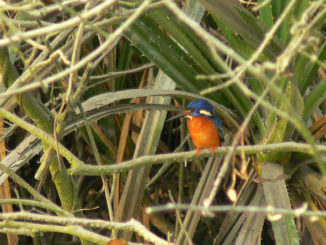 Corbett national park is a heaven for the bird watcher. 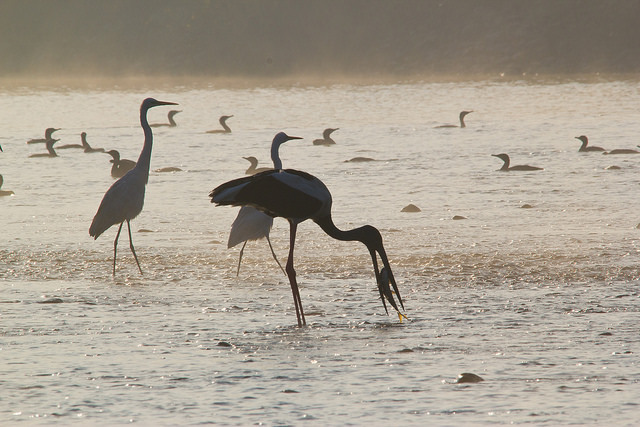 The Park and its nearby area is a shelter for more than 650 species of residents and migratory birds. Dhikala is the perfect place to look for the birds of prey, that are more than over 50 species of raptors alone which shows the healthy biodiversity of the area. 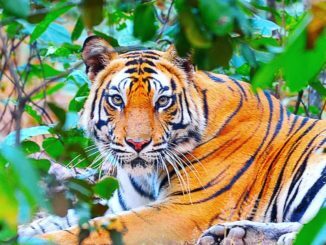 Jim Corbett National Park in India is well known for its rich and varied wildlife that also includes Royal Bengal Tigers, rich bird life, elephant and 4 to 5 species of deer. 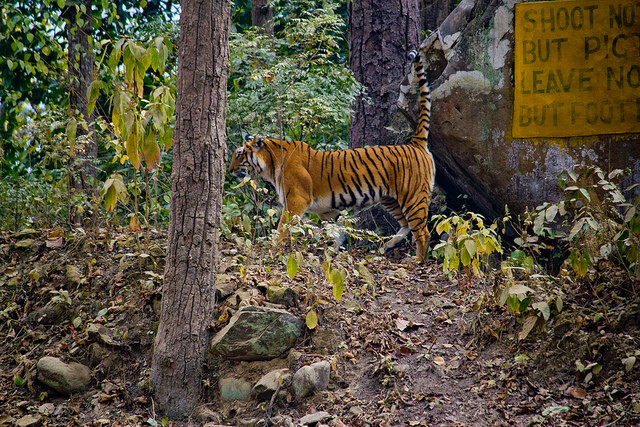 There are over 600 species of trees, shrubs, herbs, climbers, grasses, and ferns in the Jim Corbett National Park. Although the National Park has their distinct flora which comprises the freshwater flora and alpine flora. The river plants, on the other hand, have its own distinctive hierarchy. The famous alpine flora includes Sal forests, Khair-Sissoo, Chaurs forests and much more. Jim Corbett National Park has more than 586 species of resident and migratory birds that includes crested serpent eagle, the red junglefowl (ancestor of all domestic fowl) and a blossom-headed parakeet. 33 species of reptiles, around 7 species of amphibians and various species of fish and 36 species of dragonflies are recorded in the Park. 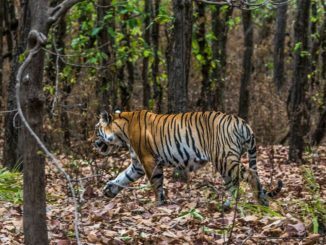 Jim Corbett National Park has weather that also experiences the three distinct seasons (summer, winter, and monsoon) like the rest of India. Some of the rare species of wildlife that are safe in this reserve and are well adapted to the seasonal variations and temperature of this National Park. The Park remains open for tourists between the months of November and June, which is convenient for both animals and visitors. In Summer, the days are very hot during the month of March that lasts till mid-June and the temperature goes to 40o C.
Hot wind blows throughout the day and as a result, a thick cloud of suspended dust form in the region, which is cleared by the occasional thunderstorm. During Monsoon, which starts mid-June and till October, the Park remains closed because this is the time of mating for many of the animals. While the area is also prone to soil erosion and landslides which may be risky. Also, the humidity rises up to 98 percent, making the weather very humid. 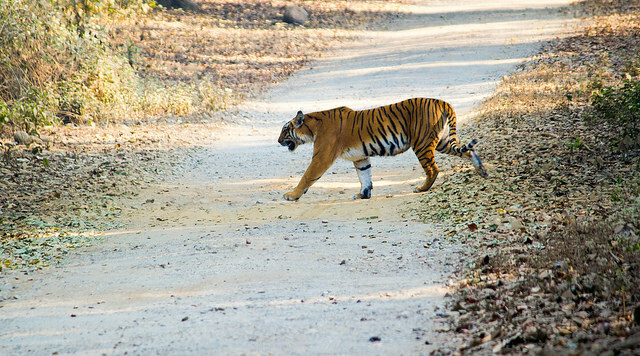 The duration between November to February, are the ideal months to explore Jim Corbett. Tourists are heartily welcome in the Park, during this time, the humidity level also drops down to about 57 percent. 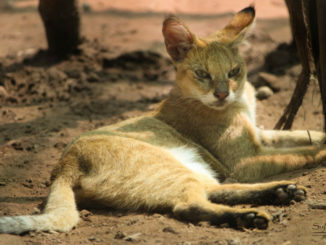 During this time there are more chances to spot wild animals as they comes out to bask in the sun. 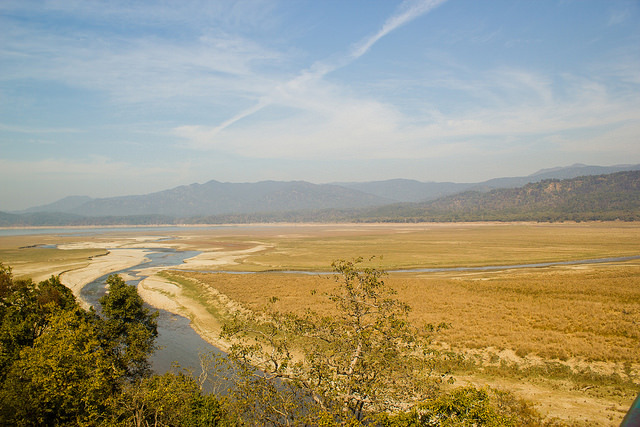 Ramnagar is the best place to approach Jim Corbett National Park. It is the small city that is well connected to the major cities like Delhi, Moradabad, Bareilly, and Nainital by road and Rail network. 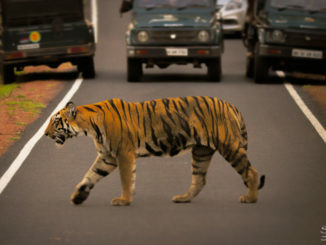 By Road: The Corbett National Park is situated at a distance of 260 km approximately from Delhi. The state government of Uttarakhand provides buses that reach to the National Park in a short interval of time from the major cities. By Train: Ramnagar is the nearest city that receives trains from different major cities of India like Delhi, Bareilly, and Moradabad. There are trains which run directly from Delhi to Ramnagar. 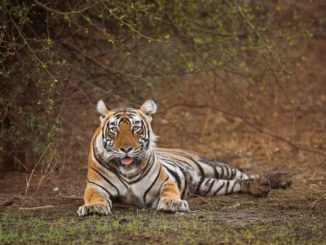 If you are dreaming for a Jim Corbett Safari then there are five zones where you can enjoy the intriguing behaviour of the animals clearly with naked eyes. 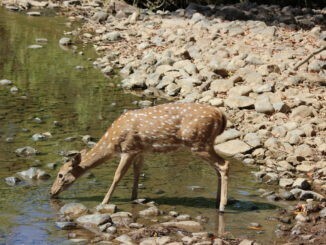 Now, the question is, Which is the best safari zone in Jim Corbett National Park? 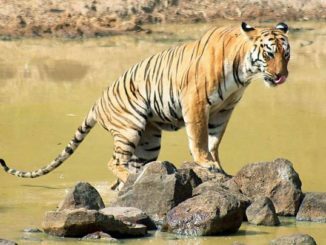 Bijrani Safari Zone and Dgikala Zone are said to be the best zone for Tiger Sighting in Jim Cornett National Park. Jim Corbett National Park safari and accommodation both can be booked via Corbett Tiger Reserve’s official website. You can also find the detail safari and stay charges at Jim Corbet National Park in the same website.